Cruz Manuel Hern?ndez Santiago (born December 1, 1972), known artistically as Manny Manuel, is a Puerto Rican singer of merengue, boleros, and tropical music. He became famous first as a member of the group Los Sabrosos del Merengue, before launching a successful solo career in 1994. Manny Manuel was born on the mountain town of Orocovis, Puerto Rico. He studied elementary and high school in the Jos? Rojas Cort?s School at his hometown. Manny Manuel was born on the mountain town of Orocovis, Puerto Rico. He studied elementary and high school in the Jos? Rojas Cort?s School at his hometown. Since a young age, he started presenting himself in talent shows and other musical activities. He later joined the group Tempo Merenguero, and subsequently became a vocalist and choreographer for the merengue duo of Mayra Y Celin&eacute;s.
After recording these two albums with Los Sabrosos del Merengue, Manuel decided to pursue a solo career. In June 1994, Manuel left the group and in October 1 of the same year debuted as a solo artist. Several months later, he released his first solo album titled Rey De Corazones. The album was certified platinum after a few weeks. With the success of the album, on November, 1995, Manuel presented himself at the Luis A. Ferr? Performing Arts Center selling out six shows. In 1996, he released his second album titled Aut&eacute;ntico followed by concerts at the Guaynabo Performing Arts Center and at the Roberto Clemente Coliseum. Manuel released his next album titled Es Mi Tiempo in 1998 which included the hits Como Duele, Margarita, and a cover of Alejandro Sanz' song Coraz&oacute;n Part&iacute;o. The album took him on a tour through Spain where the album was certified gold. His next album, Lleno De Vida, preceded a second presentation at the Roberto Clemente Coliseum. This concert was recorded and later released on CD. 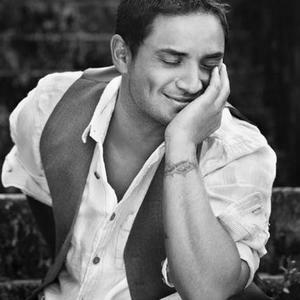 After a change of labels and a move to the United States, Manuel released the album Serenata in 2003, which included covers of traditional romantic songs. The album sold over 100,000 and Manuel followed it with yet another presentation at the Coliseum in 2004. For this album, he was also nominated for a Latin Grammy.